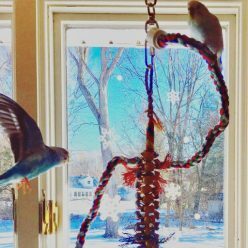 We had budgies when I was a child, and my Mom continued to have one after I was grown up (why we never had two, I don’t know). As with everything else, it seems like there is so much more to it now than there used to be, and the birds can have much more enriching lives than ours did. I don’t think the start-up costs are too off-putting; especially if you compare it to the costs of having other types of pets like dogs. Wow. What a great guide filled with information! I had no idea so many things were required! Thanks for linking up to the Showcase. Budgies are so cute and cheerful. I had birds for a long time, in addition to dogs, and I miss having one now. A couple of times I have seriously considered getting another one, but I am not sure that my current dogs are well suited to having birds. Great rundown of costs. 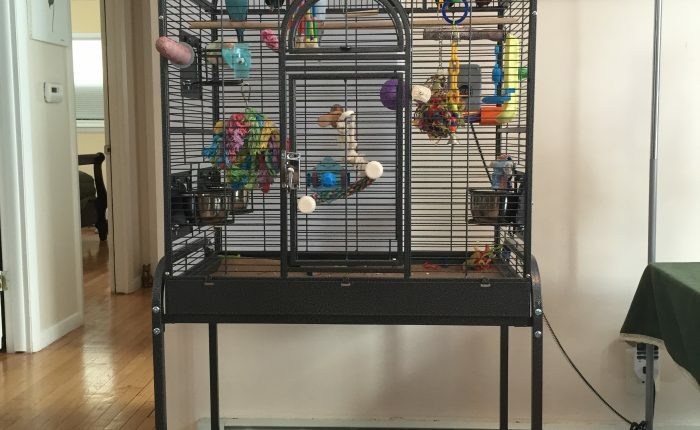 People often think of budgies as starter pets that don’t require much in the way of supplies and costs, but like any pet they have needs to be met. I’m sure this your post will make a lot of people think before they get their bird. Wow! I’m so glad you joined the showcase, I had no idea what it would cost to get started with parakeets, and I’m sure this will be a great resource for others interested in having birds!